A welcoming and contemporary designed hotel offering fantastic amenities and a central location for Calangute Beach and Baga Beach. Leisure facilities at the Resort De Coracao Hotel include an outdoor swimming pool and sun terrace furnished with loungers and parasols as well as a fitness gym, a jacuzzi, a steam bath and a games area. 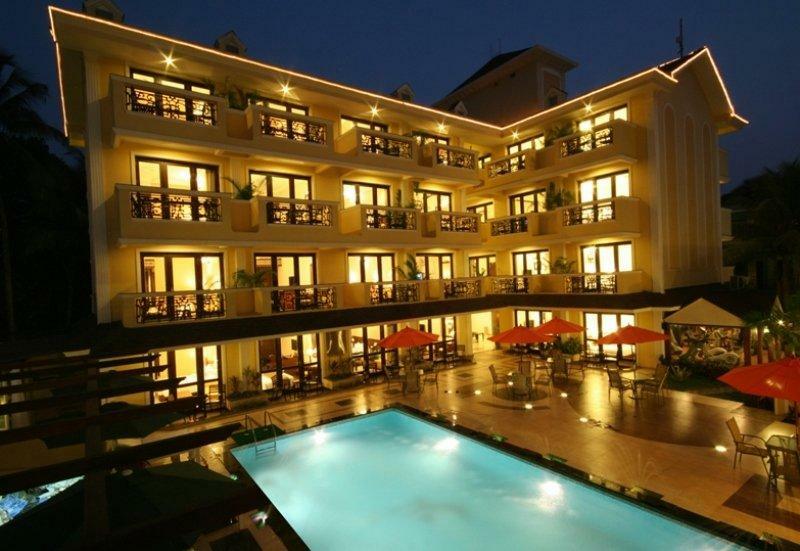 The hotel has a multi-cuisine restaurant with a show kitchen as well as a pool-side bar and barbecue. Amenities and services offered include parking spaces, 24 hour reception, room service, conference facilities, laundry service, luggage room, medical assistance, currency exchange, taxi bookings, babysitting, an on-call doctor, left luggage room and a travel desk. There are 45 guest rooms at the Resort De Coracao Hotel including Deluxe rooms, Super Deluxe rooms and Suites. All guest rooms are equipped with an en-suite, air conditioning, WiFi, king size beds, tea/coffee making facilities, satellite TV, a mini bar, a hire safe and a balcony or terrace. Resort De Coracao Hotel is approx 500 metres from the beautiful Calangute Beach where guests can relax on the sun loungers and parasols available to hire or enjoy the water sports on offer. Nearby is a variety of shops, bars and restaurants to enjoy. It is also in easy reach of Candolim Beach and Baga Beach.